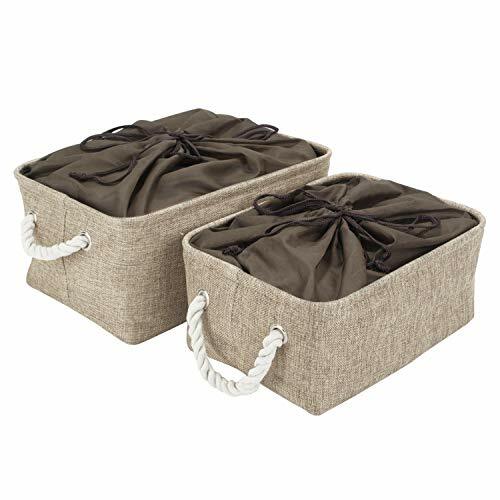 These storage bins are perfect for organizing and cutting down on clutter, the collapsible storage cubes add fun and functionality to your home storage organizer! 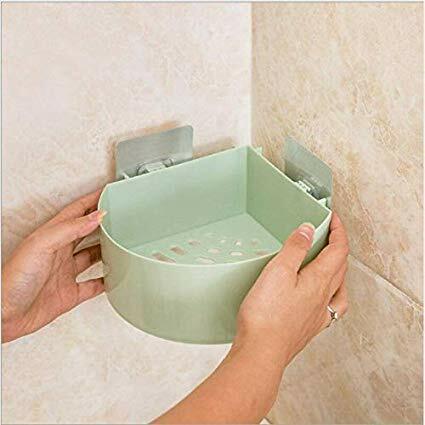 Shelf baskets have sturdy wire frame stands up to everyday use in bathrooms, bedrooms, laundry rooms or closets, while the exterior thick jute material lined with a soft fabric interior for easy cleaning. Each storage basket has cotton rope handles on both sides for easy transportation & make everything easy to grab and move. Handles on each end make carrying it convenient and comfortable. Storage box Folds flat when not in use. Perfect shelf storage organizer for kids toys storage,socks storage, diaper storage, book storage, dorm-room storage, undergarments organizer in closet, CDs/ Gadgets etc. HomeStorie storage bins define class and functionality. Made up of premium jute fabric, they are perfect for uncluttering your space and making it beautiful with bright and rich colors. It is a multi-utility storage basket which you can use to organize and enhance your space. It is collapsible, meaning you put it away when you don't need it without worrying about space. The thick cotton rope handles and the sturdy metal frame make it a strong storage option with easy maintenance and transportation. 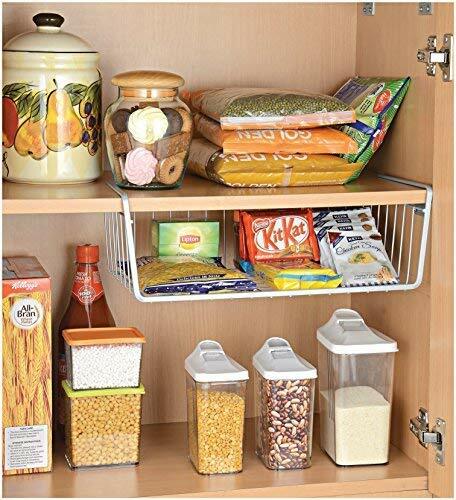 HomeStorie storage boxes help in creating a clean and clutter free home. 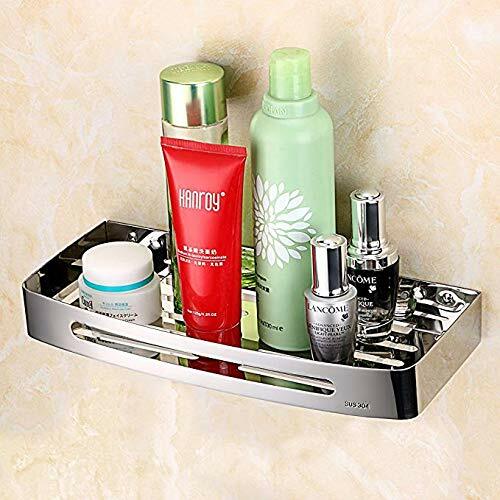 It can also be used as socks organizers storage or undergarment organizer. Use it for kids toys storage, socks storage, towels storage, diaper storage, clothes, book storage, dorm-room storage, garments organizer in closet, CDs/ Gadgets etc. Package Contains 2 Utility Storage Basket Organiser. 1 Large: 35 X 25 X 16 cm. 1 Medium: 31 X 22 X 14 cm. 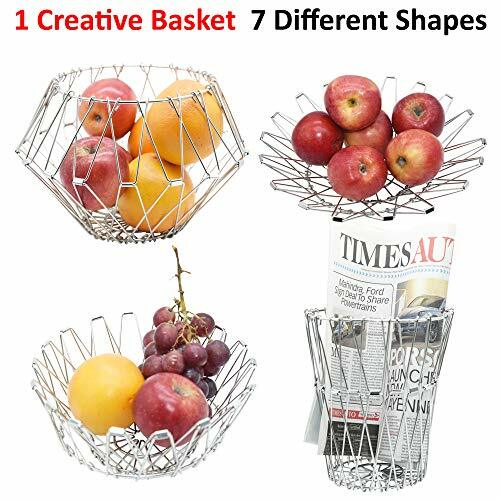 Creative UniQual 7in1 Steel Foldable Kitchen Basket and Multipurpose Storage Organiser for Dining Table, Fruits & Vegetables, Storage Bin, Pen Stand, Candle Stand, etc.